Happiness Coach Bindu empowers your SELF, company, and life. 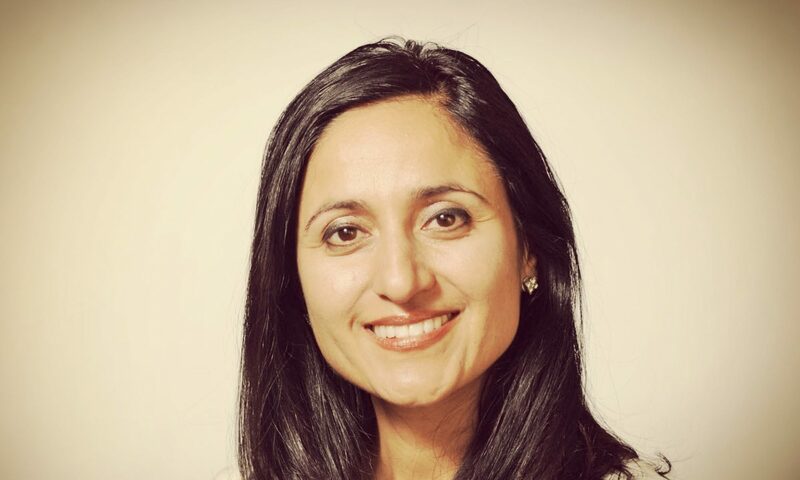 Happiness Coach Bindu will share today some of her lifelong secrets towards Mindfulness Meditation, Executive Coaching, and Consciousness in the Workplace. Bindu creates customized solutions in real-time. There is a great need in society today to fill the emptiness inside. Bindu Power Coaching is here to fill that void and empower you to unleash your hidden potential. Firstly, I would like to thank all subscribers for your continuing support all these years. It has gratified me knowing that some of you out there are ready to read my next post 🙂 Secondly, I would like to explain who Bindu is, what is her mission and what is the message she wants to convey through this website. Bindu Power Coaching (BPC) website started in 2011 by someone who believed in Bindu. She took this opportunity to use the platform as a writing tool where she could share with the world her message. Since she was tiny, Bindu loved to express herself. She did this through dance, writing, oratory, poetry, painting, drawing, music, and used many other outdoor outlets she needed to fulfill her heart’s desire. As she grew up, she realized she needed to heal areas of her life. She was not happy from within herself. She felt empty inside. So, Bindu traveled throughout the world at an early age to find answers. The eastern world took her to practice yoga and meditation. She started spirituality in her way, as she calls it. Very carefully, after reading about different masters, religions, and faiths, she followed a path. After mourning and healing for almost 40 years of her life, she is now in a space where she can share her experiences. Most importantly, she now has the tools that work on a wounded heart, body-mind, and soul. Bindu now uses her website to express herself in writing while sharing breakthrough techniques that work. Becoming a certified coach or learning cutting-edge psychotherapy techniques are just the signature of her ability. Her graduate, post-graduate and master management degrees from top world universities hold value today because of the peace of mind she has achieved. Throughout pressing moments of her life, she never gave up. However, continued in search of help, answers, and healing from the inside. Today she combines her knowledge, experience, and academic preparation into a unique recipe: how to master your mind. She has turned into a Happiness Coach. Empowering unlimited potential in every mind, through unconditional love. Bindu has learned the pathways to make this happen. Bindu Dadlani is a happiness coach, a mindfulness power coach and a mentor that can solve your problems in a strictly confidential atmosphere of presence and trust. Living the life of your dreams is possible. First, it is important to check where your feet are about those dreams. Second, use the right techniques to point to that direction. As we march forward, we notice bumps in the way, which together we rearrange back in the right direction. As we re-program the brain to re-learn the old mode of living, we notice new possibilities opening up and new frontiers not yet discovered. It turns out magical when you are in the process of transformation. One thing is for sure: the change is evident within and without. And as you look back, you realize nothing is no longer the way it was. You are now a new person. However, still in old clothes. As we make go of old belief systems, in other words, as we get ready to remove our old clothes and outdated habits, we set the tone for new attitudes. It is like getting ready for a long journey. The less luggage, the more the comfort. In this case, there are only a handful of attitudes we need to engage our life to a new thread of happiness. At the essence, we are all the same. And this is what the method does through happiness Coach Bindu. It creates real-time tailor-made techniques that alter your life forever. Any change we want to make in our lives needs to start in our subconscious first. When these changes happen on the inside, the changes on the outside are not only evident, but they start materializing immediately. Bindu engages the person in a series of questions that take her to understand within a few minutes where the problem lies. She is like a detective, figuring out within seconds the mind mapping strategy of the other person. As she learns their minds trap, she opens her toolbox. From there she extracts the unique action-oriented tool that will change the limiting belief of the person into an exponential solution of actions. Her more than thirty years of experience both on herself and her clients, allow self-confidence to shine through her results. Bindu helps fix difficult problems. The person gets back to their usual routine sensing a profound change within. As the person works on their inner self, they notice joy and inner peace. These are standard results of continuous practice with the mind and the emotions. Bindu offers techniques that work. There are many professionals out there that meet the same or better purpose. When you allow anyone to know your innermost secrets, what is essential is that you feel comfortable, with a sense of trust. And you can gauge this by how you feel. If you feel good, and you see results, this it is! Happiness Coach Bindu is practicing mindfulness meditation for more than 25 years. Hence, each session with her raises your consciousness through a profound meditation process. You are mindful and conscious. The level keeps increasing to the point your super-conscious allows. The more we work on an inner level, the more we grow on the inside. It is like training for a marathon or in a gym. The dedication and constancy are the keys to elevating your mind to supra-conscious levels. Power Happiness Mindfulness Coach Bindu Dadlani enters a company understanding the details and flaws immediately. Her entrepreneurial business international preparation and experience allow her to detect where the fault lies within the higher-level organizational system. After looking at the numbers of the company, she goes straight to the CEOs and department managers. At first, she works on helping them improve their communication skills with themselves and others. As a result, they benefit on a personal level, reflecting an immediate betterment in their relationships with loved ones at home. Then, she integrates all departments to work in unison as a high performing team. She applies human values in management and organizations. When managers at the higher level organizational pyramid are happy from within, they show those positivity levels up. A company with comfortable top leadership positions will most likely succeed in today’s VUCA (volatile, uncertain, complex, ambiguous) world. To make decisions that provide lasting happiness to their surroundings, they learn to connect with their essence. This practice, first helps them take into account the sentiments of people, climate changes, and world resources. Second, they learn to open their hearts. The inner awakening provides them with empathy and understanding, forgiveness and, above all, softness. Later, they learn to lead with this new heart. The ball game changes and they are unrecognizable. Through research, education, and innovation, Happiness Coach Bindu provides tools that will enhance a person´s intuition to supra-conscious levels. Mindfulness Meditation, Executive Coaching, and Consciousness in the Workplace are just some of her ability areas. Her mission and message involve deeper layers of consciousness that are visible through her power sessions. This method grows exponentially, the more you practice. That is, the more you are in tune with the core essence of your soul. Once you learn the technique, liberation is at your doorstep. You can also listen to her podcast on iTunes in English, or Spanish. In addition, you can also subscribe to her newsletter (written in English and Spanish). Book your power session. Contact Bindu. In each session, we’ll practice mind power techniques that will alter your mental and cognitive processes to remove the programming we all received as a child. It’s like a major software update. You’re still you, but you’ll have a whole new set of abilities you never had before. I have tried her methods and have been working with her for years. It really works, it is worthy , she is very professional, and I highly recommend her.